How Does Eating Salt Affect Your Body? Sodium is a mineral we all need — it’s necessary for proper nerve and muscle function and balances fluid in your cells and blood vessels. But finding the right balance is key, and many of us overdo it. When I prepare meals at home, I sometimes season my food with salt or soy sauce, and a few years ago, I started to notice something. 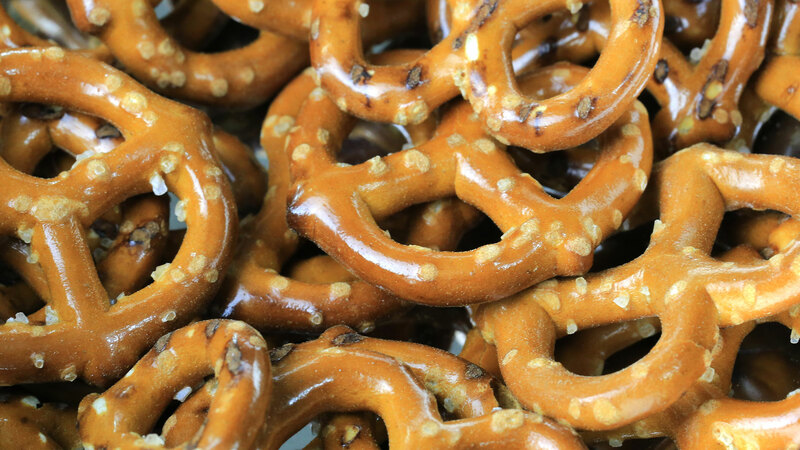 Every time I dined on these salty foods, I had a horrible night’s sleep. I felt bloated, got headaches and had trouble focusing the next day. I didn’t feel like I was using an excessive amount, but I noticed a pattern of feeling off and lethargic after indulging in salty foods — even if it was a homemade meal and I knew there were no additives like MSG and I could control the sodium. We all know too much of anything isn’t good for us when it comes to food. But how much is too much sodium? The American Heart Association recommends no more than 1,500 milligrams per day, which is just shy of a teaspoon of salt and roughly two tablespoons of soy sauce. I talked with Dr. Maria Geyman, a board-certified naturopathic physician, who says Americans eat entirely too much sodium — roughly 3,400 milligrams a day — that’s more than twice the recommended amount. And the side effects range from sleep disturbances to kidney stones to heart disease. Other short-term effects of eating too much salt include water retention, bloating and drying of the skin. Geyman also adds that people complain of upset stomach after eating too much salt, “especially when paired with high-fat or high-sugar foods,” she says. Lasting effects of high sodium intake are high blood pressure, gastric cancer, osteoporosis and kidney stones. When we take in too much sodium, over time, it can cause the body to hold onto too much fluid and puts a heavy burden on you heart and blood vessels, which leads to high blood pressure or hypertension. And if you are diagnosed with high blood pressure, your chances of having a heart attack or stroke are greater. While hypertension is genetic and in some cases your doctor will prescribe medication to get you blood pressure back under control, chances are you will need to cut back on foods high in salt, sugar and fat too. Even if you are not at risk for high blood pressure, lowering your salt intake has great benefits and is healthier all around by reducing puffiness, swelling, nausea and headaches. Because of the many side effects too much sodium can have on our bodies and overall health, keeping an eye on your salt intake is just as important as watching your saturated fats and sugar. So to maintain a good balance, keeping packaged foods from a box or can to a minimum is key. Most processed food contain huge amounts of added fats, salt and sugar. If we are eating real food and adding salt (or reduced-sodium soy sauce) to our meals for taste, we are already ahead of the game. If you are missing the extra-salty taste a little too much, dried herbs are a great substitute for meat, fish, veggies and even popcorn.